Gambian authorities last may issued an arrest warrant for two suspects, Ex-colonel Kawsu Camara known as Bonbardier - a former commander of the Kanilia Camp and Major Sanna Manjnag, an ex-State Guard officer. Mr. Hydara who lived to serve humanity was gunned down in cold blood for defending press freedom and giving chance to the voiceless to be heard. He did not live for the sake of living, but devoted his life to ensure human dignity - that all men are created equal and that those inalienable rights of man be respected. 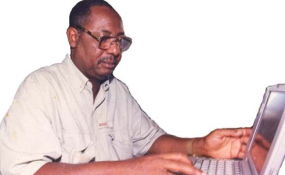 "He was gunned down in cold blood for contributing in meeting the needs and aspiration of the Gambian people and humanity at large, through the discharge of his professional duty as a journalist," Pap Saine said of late Mr. Hydara. "Our only comfort was that he died for his ideals," said Marie-Pierre Hydara, the daughter of late Mr. Hydara. "Whatever purpose Deyda's killing was for, it has failed flat. Because if it was meant to silence the press, some are fighting tooth and nail to get us the justice we or he deserve," she said. Copyright © 2017 The Point. All rights reserved. Distributed by AllAfrica Global Media (allAfrica.com). To contact the copyright holder directly for corrections — or for permission to republish or make other authorized use of this material, click here.